Today the gardener harvested Anaheim chilies and brought the abundance into the kitchen. It’s time to make pepper flakes. 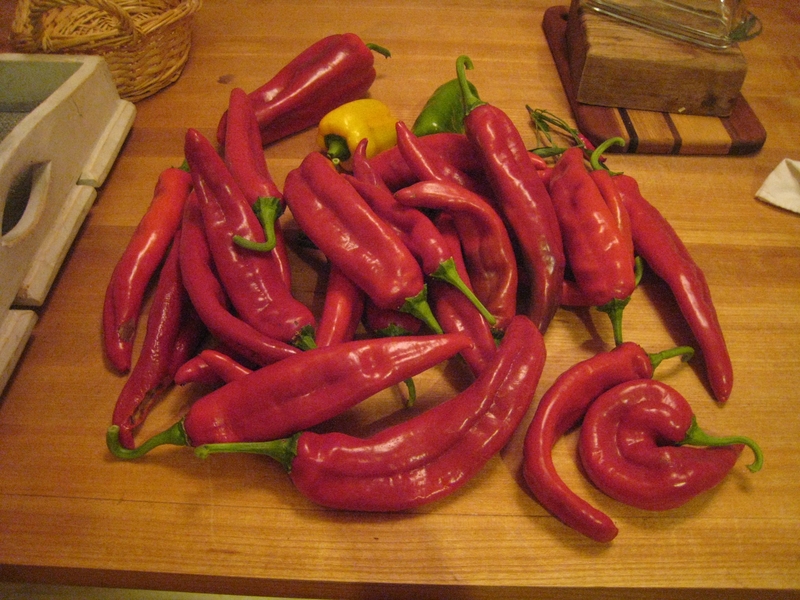 I use a food dehydrator to dry the chilies – 130 degrees until dry, dry, dry. To prep them for the dehydrator, just wash, cut the tops off, and cut them so they fit on the trays. It’s OK to leave them whole if they’ll fit. If you don’t have a dehydrator, you can use the oven. Use the lowest possible temperature in an electric oven. The pilot light can provide enough heat in a gas oven, but you need at least 130 degrees. Arrange them on baking sheets and leave them overnight. When the peppers have dried completely, whirl them in a food processor until you have flakes. That’s it. Done. 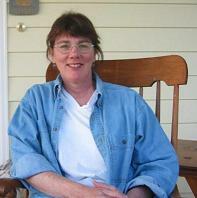 ← Beware of the Front Yard Gardener – Really?